I definitely made no mention of it throughout its run but I actually did watch Blood. Quite faithfully too. There’s something to learn from a story that went so horribly wrong right from the start, and as an aspiring writer I’m always looking to learn more on plot threads and building conflict. I managed to push myself through all 20 episodes and am still head-desking at the finale. The scriptwriter made it painfully clear that she wrote herself into a corner and had to resolve it with the random “Hey, I died. But guess what I’m back just so this drama can end on a happy note!” This drama actually did have potential so I’m actually a bit disappointed. Sometimes, I would replace Ahn Jaehyun’s frozen face with Ji Sung’s trying to imagine how he would have pulled it off and something would glimmer there for an instant a strand of perhaps greatness, perhaps mediocrity. We’ll never know, and for the sake of Ji Sung’s career, I’m quite thankful for that. Ahn Jaehyun’s acting actually improved as the drama went on, and his face did begin to thaw out but it wasn’t nearly at the level of even a supporting actor. He had a great textured voice but it’s not like people can simply close their eyes when he’s onscreen (though I did debate it a few times). This is why I’m against actors/actresses overdoing the plastic surgery. K-Netizens do tend to rip into actors they consider ugly so I can understand the pressure to change one’s looks but if doing so comes at the expense of your acting – the very thing you’re being paid to do here – I’d really just prefer the actor as he/she is. Part of me is tempted to go into a whole tangent on the slew of crazy plastic actors gracing the screen at the moment (A few minor tweaks are perfectly understandable but it really, really shows when you’ve remodeled/frozen your entire face) and how I can barely stand to look at them trying so hard to move their faces. Feel free to skip it! I’ve been watching nothing but the dramas the past few weeks and so when I watched Scarlet Johansson’s Black Widow spoof trailer, I was utterly shocked at how easily she could move her face. I’m pretty sure sounded insane when I kept talking about how flexible her face was but that’s honestly how I saw it (and yes I know she isn’t 100% natural either). Plastic surgery isn’t the point here, repeated, overdone plastic surgery is the issue. Let’s face it. From Lee Da Hae to even Hwang Jungeum who blew my socks off in Kill Me Heal Me, overly frozen, botoxed and filler-filled faces are becoming the norm in Kdramaland to the point where these actors no longer look human. From jaw-shaving to frozen cheeks, and painfully obvious nosejobs, I’d say “pick one!” because when you’ve all three plus other additions such as forehead implants and puffy lips, you sort of scare me (*coughcoughParkBom*). It’s not like PS is a decision to make that cavalierly either. This is your face, this is what people see first when they look at you. A tweak is fine but this constant refurbishing, refurnishing, and refilling is going to catch up with you at some point. And it won’t look good or feel good. Once you start, you can’t exactly stop. Case in point: Hwang Jungeum who redid her eyes and her nose. I love her. I honestly love her personality, her straightforwardness, the roles she takes, the skill and heart with which she plays them, I have such a girl crush on her. So whenever I see her face look crazy swollen and puffy, I wince internally because just google her in ‘Can You Hear My Heart’ she’s absolutely beautiful, winsome and perfect. And the last thing I want (and I’m pretty sure she wants) is for her to end up looking like whoever the rich prat is who created Versace (oops my inherent dislike of the rich is showing). It’s not to late for these actors to go into damage control and stop. And the sooner the better, for their health and our screens. Ahn Jaehyun, it’s back to the supporting lead pile with you. I’m still a bit pissed the Ji Jinhee didn’t get the lead role even though he clearly had a great time playing the villain. Ahn Jaehyun always came off poorly whenever he shared the screen with him, because it honestly felt like Ji Jinhee was sort of babysitting him. I actually am not a fan of Ji Jinhee as a person per se, but there’s no denying that he’s a formidable actor. Even worse were the vampire segments where Ji Jinhee owned the makeup + teeth + nails while Ahn Jaehyun looked like a little boy playing dress up. I honestly had secondhand embarrassment. Not to say that Ahn Jaehyun was a total loss, the boy did have some redeeming moments. 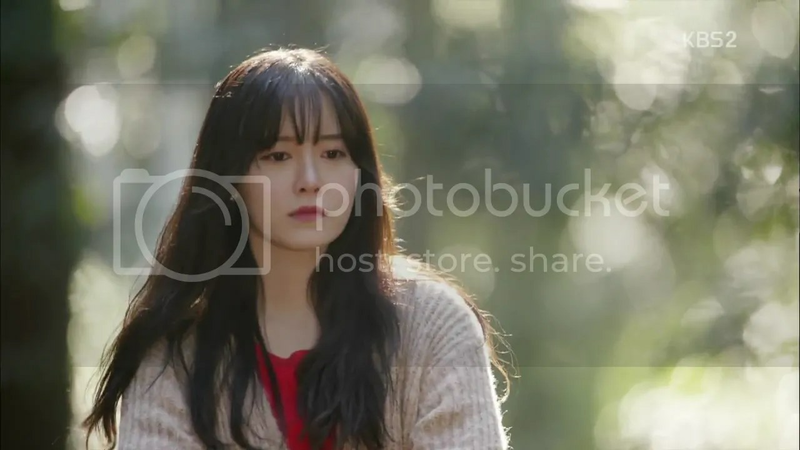 That crying scene at the end of ep 19 for instance and a few of those awkward moments with Goo Hyesun’s character. There was a fun touch of whimsy during the latter that I clung onto like a lifesaver to keep watching this show (I need something to come home to). Plus he’s a hard worker. I watched the Happy Together episode the cast was on and was absolutely horrified to hear that he’s essentially anorexic and starves himself to the point that his blood sugar drops dangerously low and his body starts to tremble involutarily. And would you believe this, the fellow takes it as a sign that he’s worked hard today. I kid you not, I had the urge to jump into the screen armed with a ton of sandwiches and feed this guy. It says something very strange about the Korean work ethic (Ahn Jaehyun’s case is not unusual) in the entertainment industry for all the other guests and MCs to have clapped for him. Not cool people, you shouldn’t be encouraging this. I get that ‘that’s how things go in Korea’ but that doesn’t mean it’s right that your actors are starving themselves and sleeping only two hours a night. If no one steps up to change anything, then only something dire will result in progress (like the complete and utter tragedy that befell Ladies Code due to rigid broadcast stations, overworked managers and idols, and uncaring laws). Guess that was a second tangent. Oops. Back to Blood. Goo Hyesun (*sigh*) I love the girl (so good in Angel Eyes until episode 14!) but she seriously needs to take lessons from whoever Lee Yeonhee and Go Ara have been going to (though Lee Yeonhee’s acting skills appear to have swan-dived off Mount Everest as seeing her portrayal of Princess Jeonmyeong in Hwajung). Goo Hyesun was honestly all over the place, from haughty spoilt brat to irritable, headstrong, doctor, to the cutesy lead in some manga. There were moments where she was spot-on, and you could finally feel her character for a bit, but those were far and few. I’m still trying to understand what sort of grudge the make-up department could have held against her as well. Was it their goal for both Ahn Jaehyun and her to look like ghosts? Did she overdo the skin-bleaching this time around? (Goo Hyesun is naturally quite pale but she’s gotten much paler in recent years I recommend searching up her pictorials/dramas like Strongest Chilwoo from 2008 and beyond and taking a look at her skin back them if you don’t believe me). She’s incredibly beautiful and one of the most natural natural Kdrama actresses there is with nary a nose job/filler in sight. Maybe, mayyy be she had double eyelids done but besides that and skin-lightening, that’s all she’s ever done which is absolutely incredible and practically unheard of in the Korean entertainment industry. So why on earth did someone so angel-like look so overly painted for so much of this drama. The hair was terrible (almost like she hadn’t met the right end of a hairbrush for 20 years), her make-up was ghostly, and who on earth did her eyeliner? I suggest firing him/her immediately. There was but one scene in this show when she looked herself, when she’d realised that Jisang was the boy that had saved her all those years ago. I seem to be going off on tangent aplenty today. Onto her acting at any rate. I think any watcher can agree with me on the fact that her acting for the first few episodes was utterly atrocious. I’ve never cringed so badly at a drunk scene before, but when she waved that glass about at the bar with that friend character of hers, I honestly felt like jumping into the screen and clamping my hand over her mouth. For a veteran of nearly ten years, I’m seeing nothing from her. There’s no improvement whatsoever. Both her and Lee Yeonhee negated whatever growth they showed in their most recent past production (Angel Eyes, Miss Korea) with their present ones (Blood, Hwajung) and it’s pretty sad seeing how long both have been acting. Perhaps that’s one of the reasons these makeup/hair people screw actresses over, to allow their acting to shine no matter how awful the hairdo or clothing (Hwang Jungeum in Secret is a great example of this. She actually made the light makeup and cracked lips work in conjunction with her character delivering this world-weary, harassed, frightened, seething with hatred, yet burning with hope, utterly brilliant bit of acting) But with Goo Hyesung I got nothing. The ‘loveline’ felt more like a noona-dongsaeng relationship (which it is in real life but that shouldn’t come across on-screen now should it?) and her delivery always felt flat. She’s a sweetheart in real life by all accounts but perhaps this isn’t the right career for her. Netizens and broadcast companies are only so tolerant and if this keeps up she could end up being relegated to second lead status or become unable to land a show. Star power can only take you so far. Other Boys Over Flowers alumni have managed to hit it out of the park (literally in Kim Hyun Joong’s case) with popular, even if questionably plotted productions while she remains mired in failure after failure with only Angel Eyes amongst her post-BOF work being considered a moderate success. It’s a shame because there is something there. There were times in Angel Eyes where she honestly hit it out of the park, especially in episode 3, playing the rather badass Yoon Soowan (who became less and less badass as the series wore on) but she seems to be sort of person who finds it difficult o play a character if it’s too dissimilar from her/she can’t relate to it. And the latter is unfortunately the hallmark of a good actor. It’s not like all actors can relate to being serial killers/ psychologically abused men with seven personalities, but we’ve seen brilliant examples of actors pulling these off perfectly. Not being able to relate isn’t a good enough reason to force viewers to have to deal with crappy acting. I do like her, I do, but that doesn’t mean I’m blind to her faults. Oh Blood. The plot was forgettable (fire that scriptwriter), and the side characters even more forgettable (except Min Ga Yeon who was a tiny, tiny bit badass), plus people kept dying for no reason, the only redeeming features of this drama was Ji Jin Hee’s badass villain who honestly dgaf. You could tell that he was having fun being bad for the sake for being bad. Plus there were a few cute moments in the show, like Rita’s embellishment of Ji Sang’s rescue those years ago, and stuff (excluding that godawful kiss). And on a completely random note, going back to that moment when one of the vampire minions confronted Rita in her own home, the way said minion spoke and acted was rather similar to how Moriarty behaved on the roof of that building at the end of Season 2 of Sherlock. All wild eyes and eager whispers. 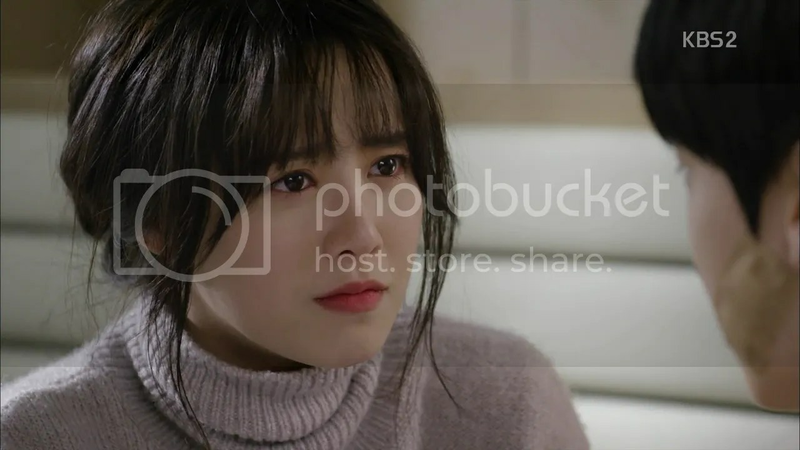 At any rate, Blood is over now, and hopefully both leads – especially Goo Hyesun, considering that she’s a veteran and should honestly be much, much better than this, she was on the same level as Ahn Jaehyun who’s just a rookie – walk away with better experience and learn some lesson from this. Whatever that’s on: choosing scripts, acting, plastic surgery. Take your pick. I leave you now with the face I kept making throughout watching this show. I like your comment :), I accidentally come to this page and I’m realize that your comment is make sense and based on professionalism of the actors and actresses. I love Ku Hye-sun, she’s my only one actress that I admired. I love her diverse works, no matter what other people said about her for not-focus project, I will support her. May be that’s why I can’t make neutral comment like yours, I rather not blind her faults and I’m sure many of her fans like me hehe, but I’m not against you either, I know you’re right in some cases hehe. I’m agree with you about her up and down acting-career path, her so pale makeup in Blood (I think it’s too much, she didn’t need it because she prettier in thin makeup, and I think the camera effect and the lighting is too bright). I get the feeling and chemistry of her and her co-star on BOF and Angel’s Eyes, but it’s hard to get in Blood, may be because the plot much focus about the vampire-problems rather than the relationship of Yoo Rita and Jisang, on the contrary of BOF and Angel’s Eyes’ plot (which is based on the same script writer). I hope Blood’s reception couldn’t effect her to get the big project next time. I’m trusting on her, she deserves to get chances to make big hits project again. Now she is a married woman, so I thought she can be more comfortable with her co-star, so she can give amazing performances, and I hope it can make her into an A-list actress, the one who considered much in acting world.